It’s up to you which one you’ll choose, but remember, NO STRAW IS THE BEST STRAW. 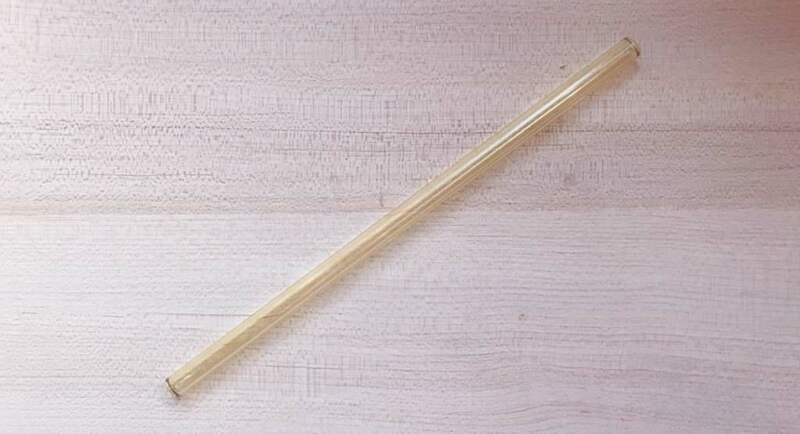 Remember to refuse the plastic (and even the paper) straws when eating out, you don’t need them anyway. Also, kids aren’t supposed to be using hard straws. Any of the straws below may cause accidents, such as scraping the inside of the mouth, or losing teeth by biting down too hard on the straws. 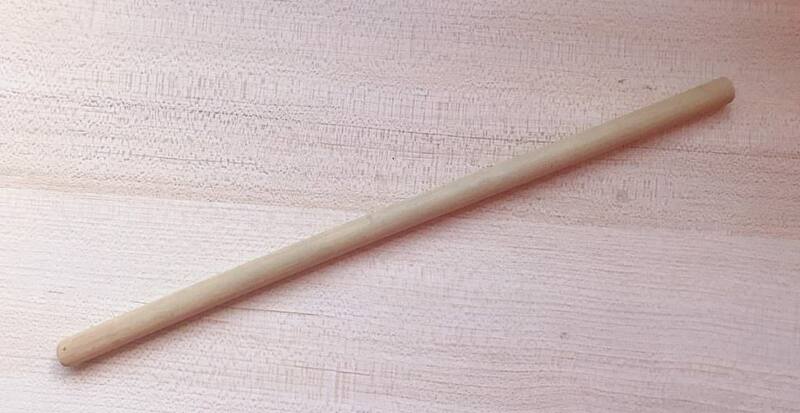 Bamboo straws taste woody, and need to be replaced monthly (although antibacterial by itself, damp, closed, hollow spaces thrive with bacteria.) They also need to be 100% dry before storing away or else the damp surface and high starch content of bamboo will invite mold (and mildew). Checking for residue left inside ain’t easy, as the surface might be rough, bits and pieces may get stuck inside and since you can’t really see through them, you’ll never know if you’ve cleaned enough. They also don’t do well with warm drinks, as hot liquids corrode the insides faster. They are however biodegradable and easily renewable. Extremely light. Comes in many colors, but plating is easily scratched. Shape may warp under pressure, just like aluminum cans. Limited diameters available. Works well for cold drinks. Does not have any metallic taste. 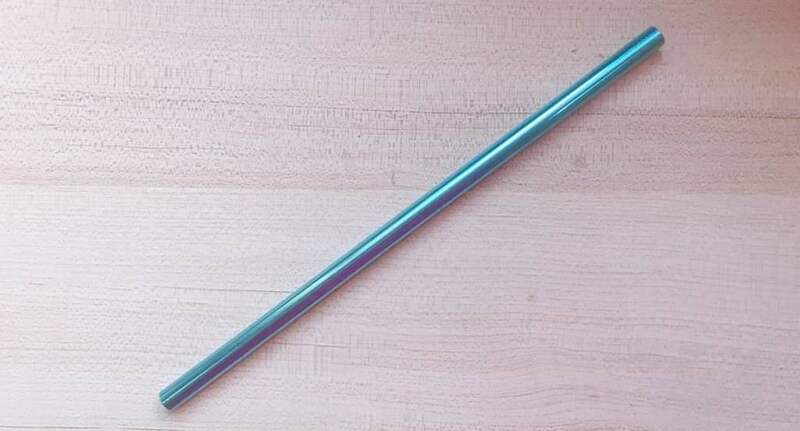 Relatively cheaper than stainless steel straws, but not as durable. No conductivity issues, works well with hot or cold drinks, and has no taste. Comes in different colors (shown here is yellow.) Pleasant to the mouth as well. Transparent — meaning you can always see if it’s clean. Best bet if you think about all the pros, but needs extra care to avoid breaking. 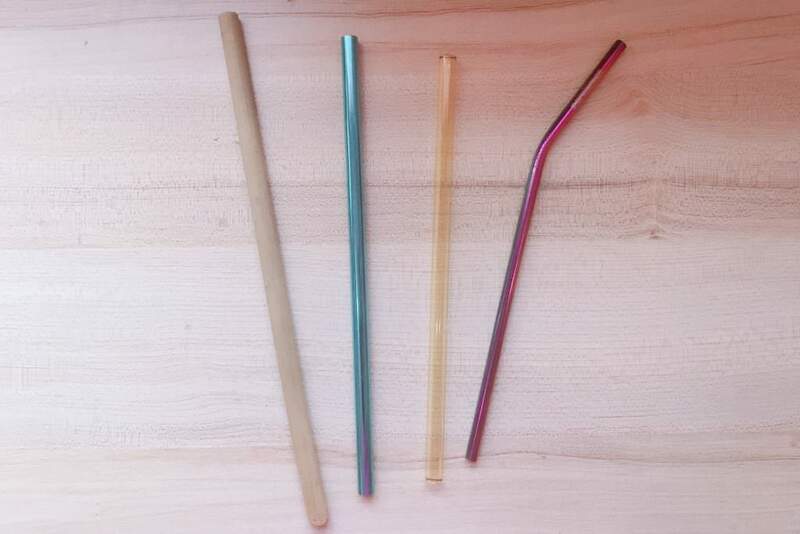 If taken care of properly, glass straws can last a lifetime. May be unpleasant to use for some with hot drinks. 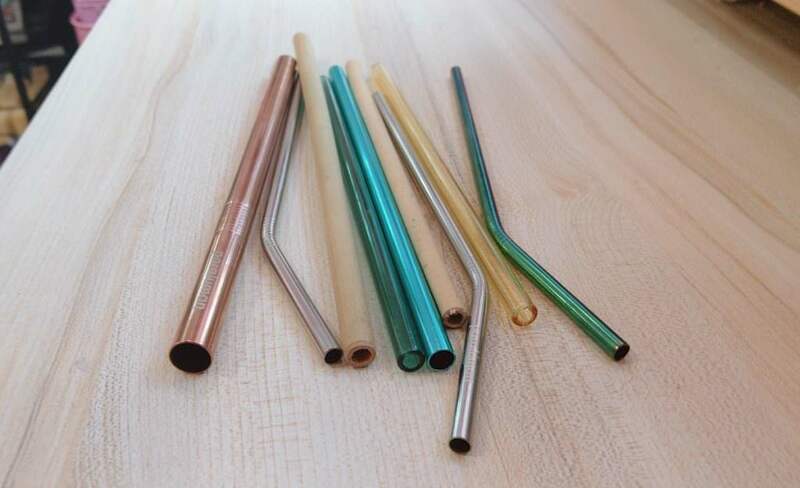 Metallic taste for those who are sensitive, but silicone straw tips are available. May change the taste of acidic beverages. Metal is mined—so this is not for those who are against metal mining. Some may corrode when not taken care of, but overall can last for years on end. Most convenient among the choices, and comes cheap too. Which one do you use? Comment below the pros and cons of your choice. And remember, NO STRAW IS THE BEST STRAW!